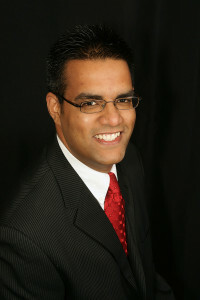 Dr. Khurrum S. Sheikh is a native of Jersey City, New Jersey, where he graduated from St. Peter’s Prep High School. Keeping with the Jesuit tradition, Dr. Sheikh earned a Bachelor’s degree from Creighton University in Omaha, NE. He earned his dental degree from Boston University Goldman School of Dental Medicine. Dr. Sheikh furthered his knowledge and training by completing a one-year Residency at the University of Nebraska Medical Center. As a resident, Dr. Sheikh focused on more complex full mouth reconstruction treatments and medically compromised patients. Dr. Sheikh continued at NYU where he completed a 2-year Impantology Fellowship in surgical placement and restoring dental implants. Dr. Sheikh has been an Assistant Professor for University of Nebraska Medical Center and presented at multiple medical and dental conferences. He is also a clinical director and active participant for the Special Olympics Special Smiles team. He is a member of the American Dental Assocation, the Academy of General Dentistry, and Mercer County Dental Society.